Detailing the physical features, habits, territorial reach and other identifying qualities of the Predaceous Diving Beetle. 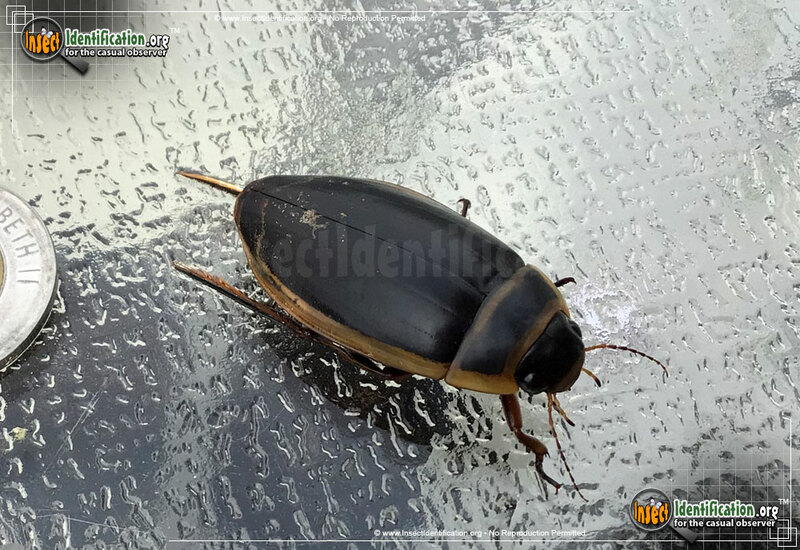 Predaceous Diving Beetle offspring are tigers in their the underwater world, but most sightings occur when the robust adults explore land. 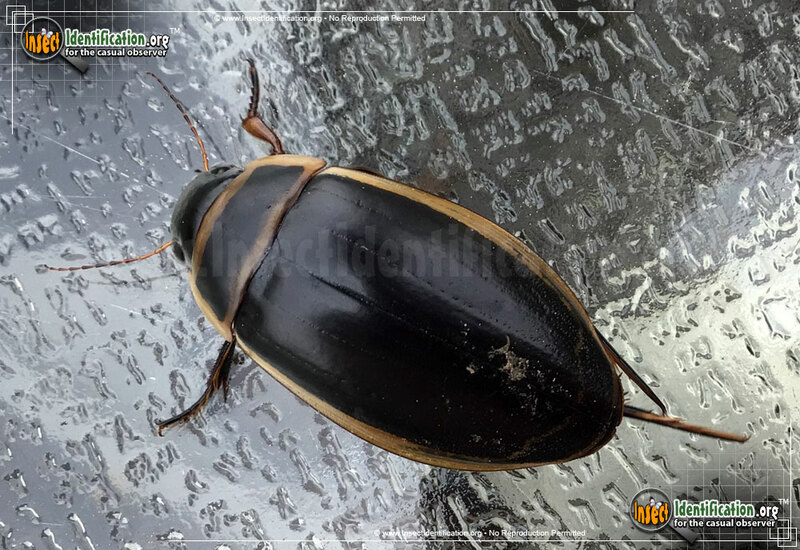 Found in or near large ponds and lakes, the Predaceous Diving Beetle is dark green and hydrodynamic, suitable for a life mostly spent in the water. It may look like it only has two front legs, but its other 4 legs are underneath it, out of sight. The two back legs are flat like boards making them useful paddles that simultaneously propel the beetle forward in water. The front legs look like bent 'arms' and all legs have feathery hairs on them. 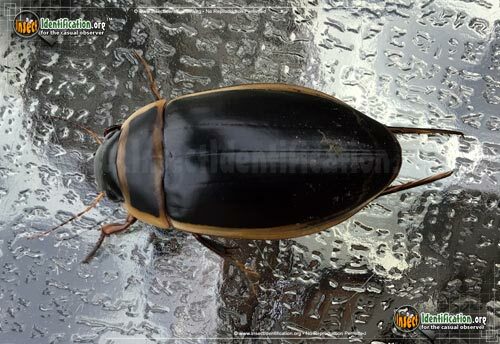 A Predaceous Diving Beetle feeds on other aquatic insects and creatures, including small tadpoles. Males use their paddle-like feet to secure the female for mating. Both genders fly very well outside of water and are attracted to lights at night. They are most active at night and can be seen moving from one water source to another (puddles, pools, ponds, flooded roads, etc.). Walking on pool furniture and patio sets is not unusual for the adventurous beetle. 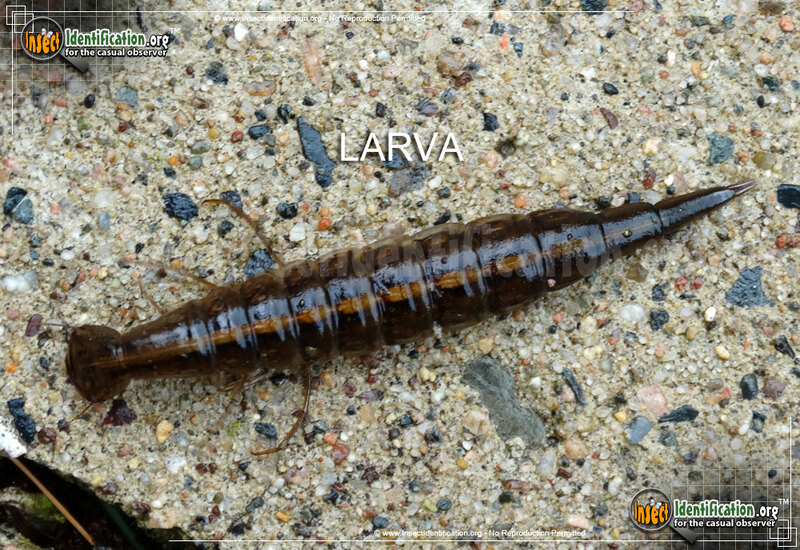 Larvae hatch underwater and look somewhat like long, tubular naiads or centipedes with only 6 legs. 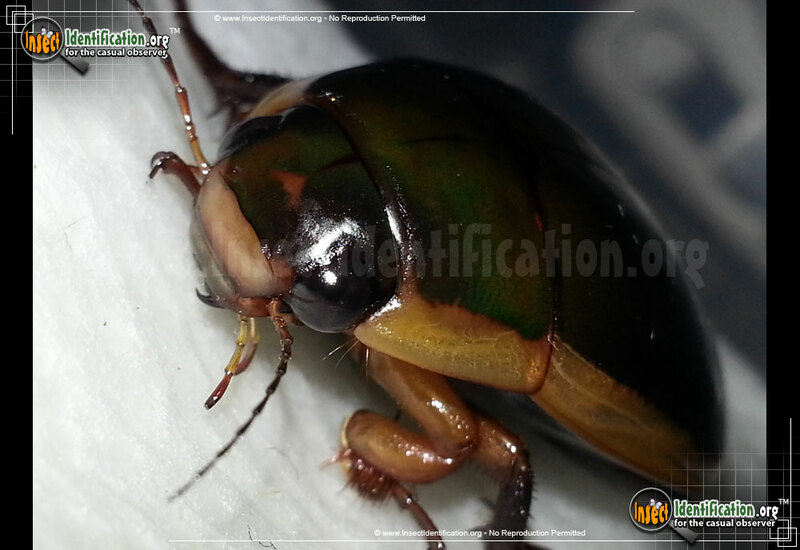 They have what appear to be pincers at the mouth area which are likely used to catch and consume aquatic insects. They are ferocious predators and aggressive by nature. This reputation has earned them the nickname 'Water Tiger'.